RPS: Do you think you learned any important lessons from the release of Clear Sky? Has that shaped how you’ve approached work on Call Of Pripyat? Yavorsky: Clear Sky has been a good lesson for us indeed, primarily in the aspect of game stability and playability. There were a lot of changes both in technology and gameplay that we did for Clear Sky, but we had no time to polish and fix everything as proper before the release. 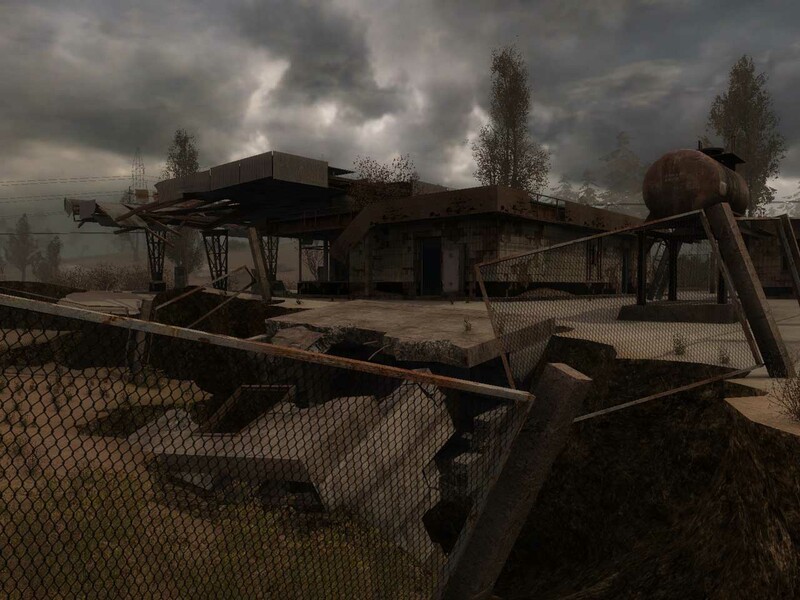 With Call of Pripyat now we are taking a safer route by, firstly, building the game on the technology we’ve been polishing since Clear Sky, secondly, getting rid of some features which did not work out well – such as global war of factions, for example; and thirdly, by taking more serious approach to testing the game. RPS: Can you tell us about the new areas of the zone that Call of Pripyat will include? How much of this new material is taken from the real Chernobyl zone? 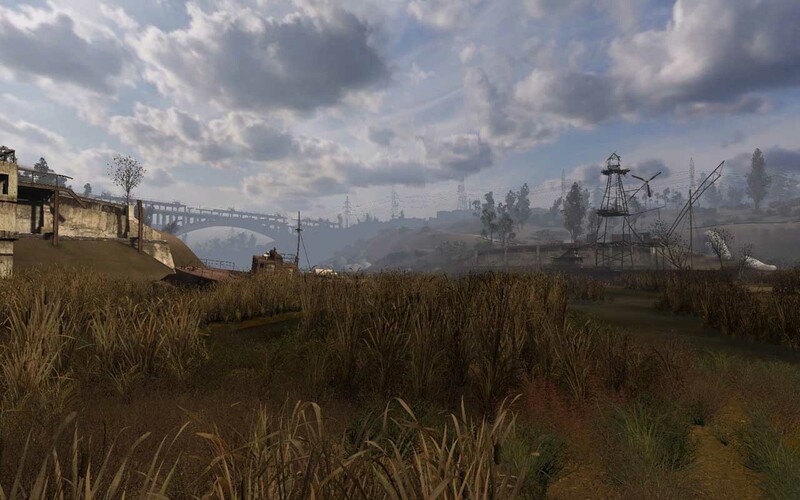 Yavorsky: We will present a complete set of new locations in Call of Pripyat. This includes the Pripyat river basin and its rusty fleet standing still for over 20 years now, the Kopachi village completely buried after the accident, Jupiter factory located on the outskirts of Pripyat, the railway station Yanov, and, to crown it all – an entire district of Pripyat, modeled in its real scope. Many players have repeatedly asked us to implement Pripyat in the game, so we decided to satisfy their wish. I think Call of Pripyat will be the most photo-realistic, and hence, atmospheric S.T.A.L.K.E.R. game of all three. RPS: Can you explain how you’ve changed the A-Life system for this new game? Yavorsky: Firstly, we picked the best-liked features from SoC and CS games to preserve them in Call of Pripyat. Secondly, we added a number of touches to make the world and its atmosphere more believable. Hence, day and night cycles will affect the behaviour of both monsters and NPCs: monsters will be more active and go hunting prey at night, while NPCs will try to find shelter and return to bases after seeking artifact and day-patrolling as night descends. To liven up the game world, each character/monster has been attributed their deadly enemies. 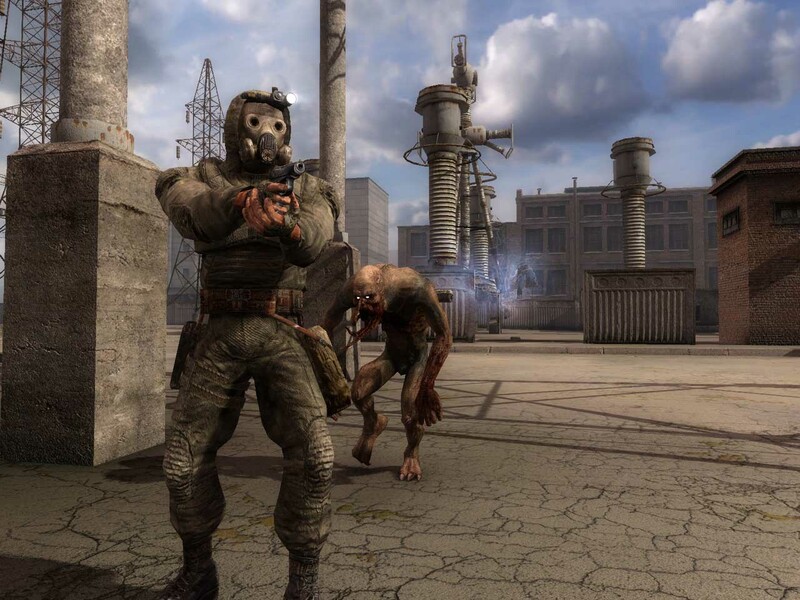 Mutants hunt humans, bandits are after neutral s.t.a.l.k.e.r.s, Duty faction is after mutants. Thirdly, hunger and sleep will have their effect too in the game: if the player is hungry, it will take him longer to restore his stamina. Sleep function will help you to refresh yourself, so as to speed up the time a bit (which may be useful in case you have a night mission designated to start at a particular time at night, for example). This said, we gave all monsters an updated look, changed their behaviour in combat (so as to make them tougher and more interesting to fight with), added a couple new monsters – Burer and Chimera. RPS: How much inspiration do you take from the work done by the modding community on the previous Stalker games? Yavorsky: We are very pleased to see how active the modding community is with S.T.A.L.K.E.R. – we’ve seen a number of interesting modifications done by the fans (AMK-mod, for example). When it comes to development of the next official games, however, I’d say we rather build them the way we see as proper and our own style, rather than copy mod-makers’ ideas. Our ambition is to present players our own S.T.A.L.K.E.R. as we see it (and we still have a number of ideas to get implemented). Nevertheless, we do listen to a lot of feedback received from players and their wish-lists. It helps us make decisions on which directions to take for the series. Yavorsky: As opposed to pure story presentation element, the sleep function this time will have its gameplay role. As mentioned, you can take a nap to save time and not walk about in wait for your mission to start at a certain time. After sleeping your character will also restore his powers. You will only sleep in safe dedicated spots, such as s.t.a.l.k.e.r. bases, for example. RPS: Can you explain how the game will be playable “after completion in a freeplay mode”? Is this tied to the extended side-quests? Yavorsky: The freeplay mode is designed for those players, who prefer to stay in the game and explore as much as they want without the need to re-play it to see all of it. So, you’ll be able to travel freely, enjoy the A-life around and accomplish quests you missed during the playthrough. RPS: Do you expect to return to the underground “horror” sequences of the original Shadow Of Chernobyl? Yavorsky: We will provide a couple underground locations for players to explore in Call of Pripyat, so beware of spooky monsters! RPS: Replacing English dialogue with the original Russian dialogue seems like a popular modification – have you considered an all-Russian dialogue option with English subtitles, as CD Projekt did with Polish in The Witcher? Yavorsky: Thanks for the idea! At least part of our S.T.A.L.K.E.R. games has been in Russian already (such as campfire stories, combat shouts (predominantly rude ones!)). We’ll consider adding even more of the language flavoured with vodka, bears and balalaikas. RPS: Is there much you still have to do with the original Stalker setting? Can we expect another “new” Stalker title from GSC one day? Yavorsky: I assure you there’s a lot of ideas still untouched about S.T.A.L.K.E.R. universe and setting. We are building plans for the full-fledged sequel game, but it’s too early to talk about it at this point. Call Of Pripyat is due for release in Autumn 2009. Tagged with feature, gsc-gameworld, Oleg Yavorsky, S.T.A.L.K.E.R., S.T.A.L.K.E.R. : Call Of Pripyat.